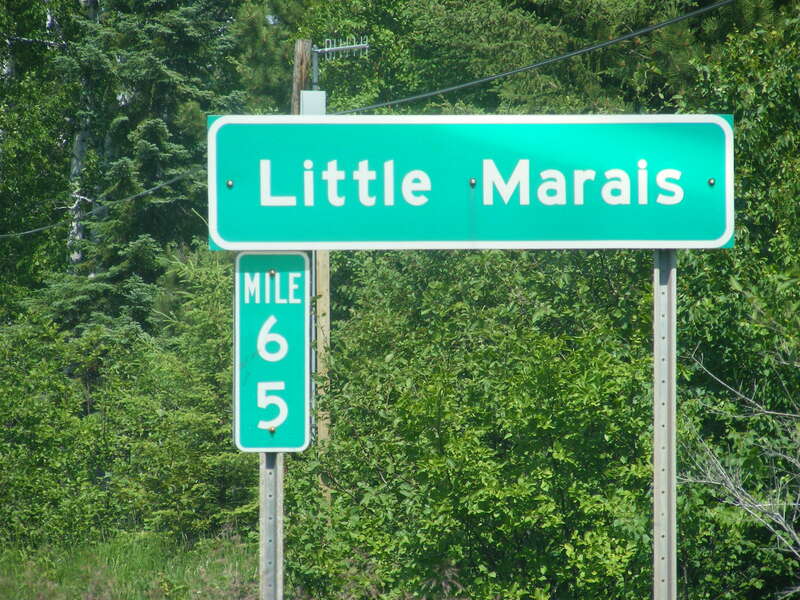 Do you have photos, historical accounts or other items pertaining to the Little Marais area? Would you like to share this historical information with the world? LakesnWoods.com would like to publish your Little Marais photos (current or historical) or historical accounts on this website. Original materials can be returned and your privacy will be respected. According to the United States Census Bureau, the unorganized territory has a total area of 191.7 square miles (496.5 km²), of which 177.7 square miles (460.3 km²) of it is land and 14.0 square miles (36.2 km²) of it (7.29%) is water. As of the census of 2000, there were 117 people, 54 households, and 34 families residing in the unorganized territory. The population density was 0.7 people per square mile (0.3/km²). There were 183 housing units at an average density of 1.0/sq mi (0.4/km²). The racial makeup of the unorganized territory was 97.44% White, 0.85% Native American, 0.85% Asian, and 0.85% from two or more races. There were 54 households out of which 18.5% had children under the age of 18 living with them, 59.3% were married couples living together, and 35.2% were non-families. 31.5% of all households were made up of individuals and 7.4% had someone living alone who was 65 years of age or older. The average household size was 2.17 and the average family size was 2.66. In the unorganized territory the population was spread out with 16.2% under the age of 18, 5.1% from 18 to 24, 24.8% from 25 to 44, 32.5% from 45 to 64, and 21.4% who were 65 years of age or older. The median age was 47 years. For every 100 females, there were 116.7 males. For every 100 females age 18 and over, there were 117.8 males. The median income for a household in the unorganized territory was $30,521, and the median income for a family was $31,771. Males had a median income of $31,250 versus $30,417 for females. The per capita income for the unorganized territory was $21,321. There were no families and 14.0% of the population living below the poverty line, including no under eighteens and none of those over 64. 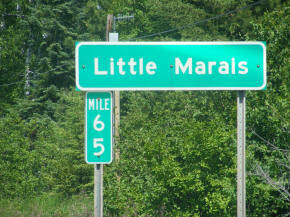 Little Marais, meaning "little marsh," was so named because of the little marsh near a local river and creek. 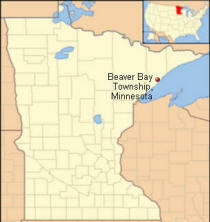 Scandinavians began settling in this area, situated on the shores of Lake Superior, in the late 1880's. These settlers made their living by fishing as they had done in the "Old Country." Familiar names in Little Marais in those early days were Fenstad, Hansen, Gilbertsen, Christofferson, Ellingsen, and Koss. 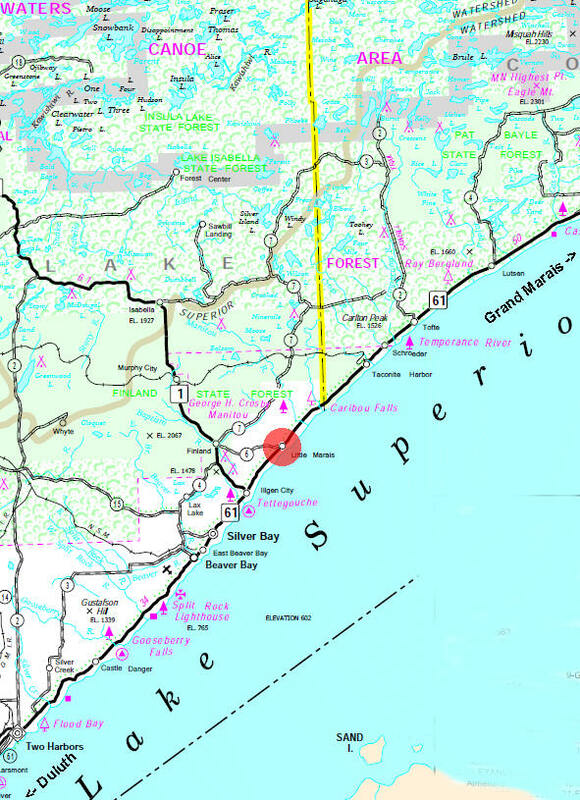 Many of the early settlers of Finland and Isabella arrived by boat at Little Marais and Pork Bay (Little Manitou). With the construction of the Finland Radar Station is 1950 and the construction of Reserve Mining in 1951, Little Marais realized an increase in population. There are still Fenstads and descendants living in the area and although it is quieter than usual, it is still home to many and a good place to live. Nationally known chainsaw artists Ross Olson and Curtis Ingvoldstad will be creating high quality North Shore Themed benches that will delight children and adults alike. Come watch high speed, high energy art being create for your enjoyment by these masters. The North Shore of Lake Superior, the world's largest freshwater lake, is 154 miles of scenic beauty and natural wonders. 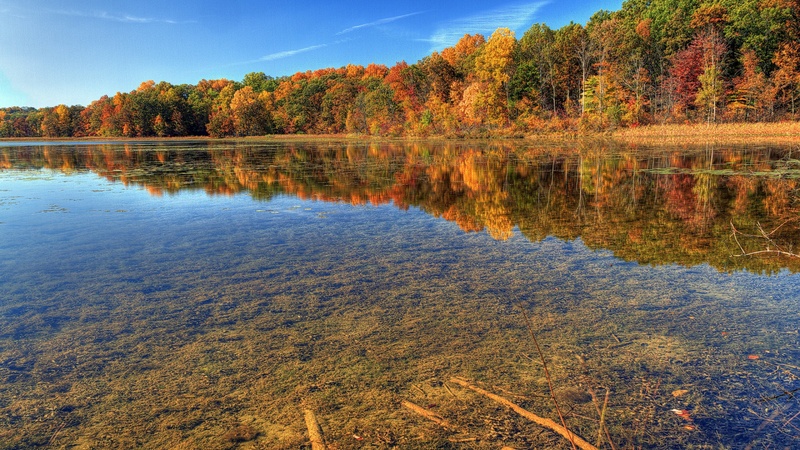 The drive along the lakeshore is rich with the history of American Indians, French and British explorers, lumbering and iron ore mining. On one side of the highway, Superior National Forest, one of the great wilderness areas of the U.S., carpets the hills of the Sawtooth Mountains with balsams, birch and pine. On the other side, Lake Superior offers spectacular views from the rocky shore. Whether it is a wilderness expedition or the comforts of a modern lodge, the lofty pines of the Superior National Forest and crashing waves of Lake Superior seem to have a magic that whispers to travelers . . . "come back." 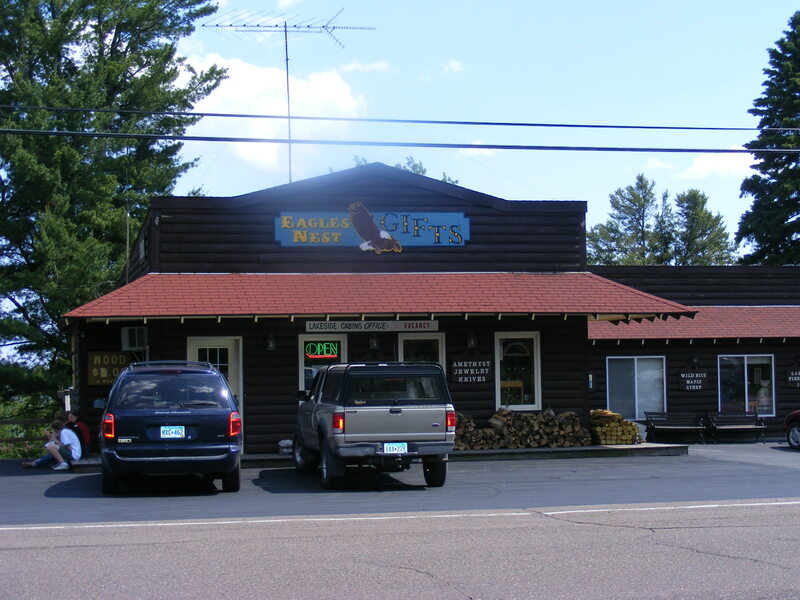 Lake shore vacation cabins on beach and rocky shore, wood burning fireplaces, hiking trails, outdoor games, boat launch and dock use on Lake Superior. Our Resort is centrally located in the Arrowhead region of Minnesota right on Lake Superior's shoreline. 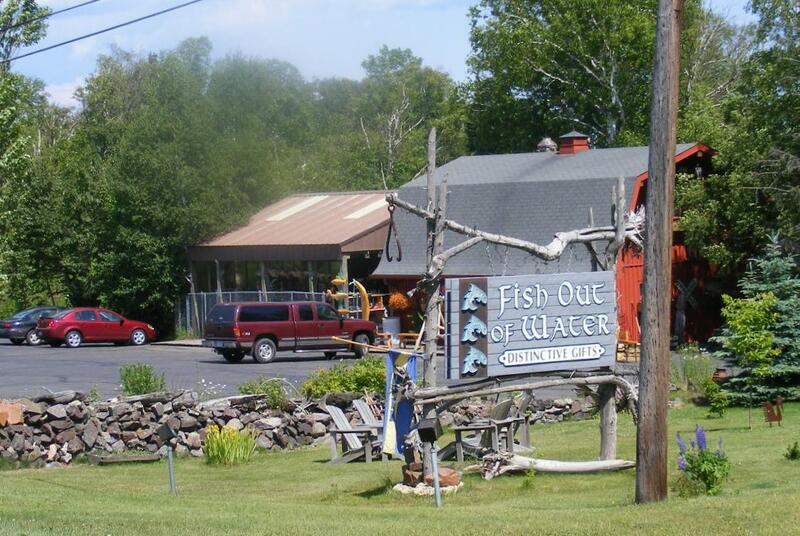 All of the North Shore attractions are within easy reach, whether it be hiking, sight seeing, shopping or just plain relaxing by the cool waters of Superior. In our gift shop The Eagles Nest you can find unique gifts and souvenirs of the area as well as Ice Cream and Sodas, cabins cuisine and condiments. 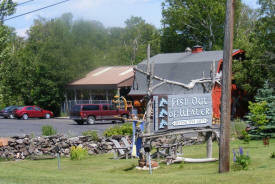 The Spirit of Gitche Gumee is a Bed & Breakfast, Gift Shop, Coffee House. The B&B has four cozy guest rooms. In our gift store we feature rustic furniture, sculpture, clothing, wild rice, maple syrup, and unique items not found elsewhere. We serve the North Shores best coffee, espresso, and assorted drinks, along with fresh baked scones and cookies. 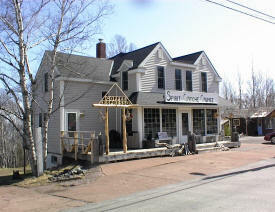 Our shop features unique gifts of the area such as Thunder Bay Amethyst & Lake Superior Agates. Wild Rice from Minnesota, local Maple Syrup, Minnesota Wild Jellies & Syrups, a variety of Specialty Soups and hand made Pastas. Birch Bark Creations from local & Russian Artisans, beautifully tuned Wind Chimes, handcrafted Bird Houses & Feeders, as well as local Lighthouses. Whittled, carved, crafted wooden items for the home or as a gift - out in the "Wood Shop." Plus great gifts in the little shop in the house. My name is Randy Nelson. I am the owner and operator of Nelsons Designs. I have over 30 years working with woodworking machines in my spare time. 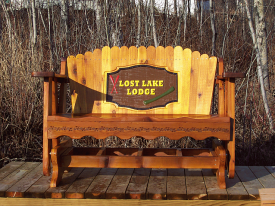 I have done a wide variety of projects including building houses (framing to finishing), decks, furniture, cabinets, outdoor play equipment and toys.